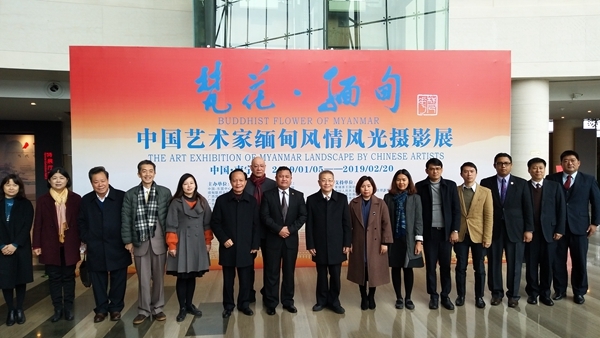 ACC Co-hosted the "Buddhist of Myanmar---The Art Exhibition of Myanmar Landscape by Chinese Artists 2019 (Nanning)"
On 5 January 2019, the "Buddhist of Myanmar---The Art Exhibition of Myanmar Landscape by Chinese Artists 2019 (Nanning)", co-hosted by ASEAN-China Centre (ACC), the Consulate-General of the Republic of the Union of Myanmar in Nanning, Guangxi International Cultural Exchange Centre (GICEC), Guangxi China Culture Promotion Society (GCCPS), Nanning People’s Association for Friendship with Foreign Countries and Guangdong Perfect Enterprise Group Co. Ltd. was officially launched in Nanning Museum. Mr. Gao Xiong, President of GICEC and former Vice Chairman of the Standing Committee of the People’s Congress of Guangxi Zhuang Autonomous Region, Mr. Soe Thet Naung, Consul General of Myanmar in Nanning, Ms. Wang Hongliu, Director of General Affairs and Coordination Division of ACC, Mr. Zhang Xiaojian, Curator of Nanning Museum, representatives from consulates general of ASEAN Member States in Nanning, government authorities of Guangxi, enterprises and media attended the event. President Gao Xiong, Consul General Soe Thet Naung, photographer representative Qin Jie and Executive Vice President of GCCPS Mr. Wei Ziguang delivered remarks respectively. 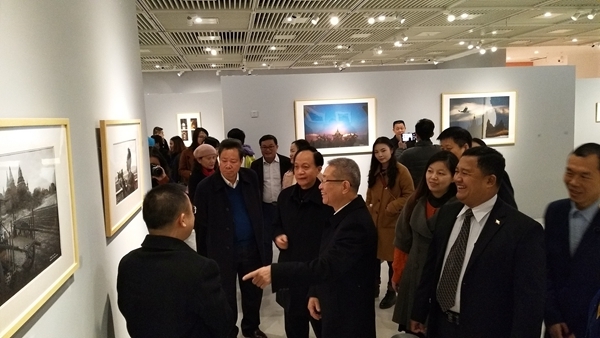 They hoped to present the unique landscape and charm of Myanmar to the Chinese public through the exhibition, so as to further deepen mutual understanding and friendship between the people of Guangxi and Myanmar. Nearly 100 photos taken by Chinese artists vividly depicting the natural landscape and cultural customs of Yangoon, Mandalay and Pagan are on show at the exhibition which will last till 20 February 2019. The launching ceremony was followed by the "Come Close to ASEAN - the 2019 New Year Concert". Representatives of ASEAN Consulates General in Nanning and students from universities of Guangxi presented wonderful singing, dancing as well as instrument playing which embodied the culture of China and ASEAN countries, and were warmly applauded by the audience. 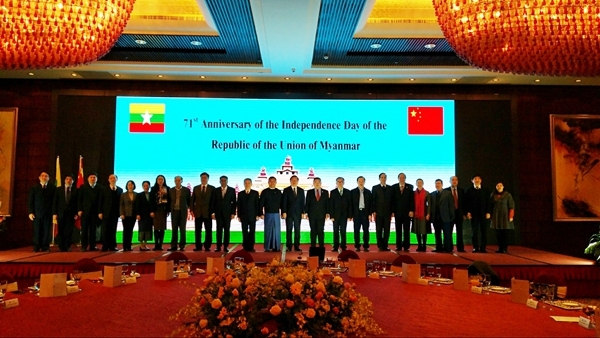 During the visit to Nanning, Director Wang Hongliu also attended the reception celebrating the 71st anniversary of the independence of Myanmar hosted by the Consulate General of Myanmar in Nanning, and widely exchanged views on promoting Myanmar-China and ASEAN-China practical cooperation with participants from both ASEAN and China. Besides, she also met with representatives of China-ASEAN Panorama and Guangxi Jinghe Technology Co., visited the China-ASEAN Smart City Innovation Centre, and exchanged views with leading officials of Nanning Big Data Management Centre on advancing future cooperation.